D-Link AirPlus G DWL-G630M Wireless Cardbus Adapter rev.A is a Network Adapters hardware device. The developer of this driver was D-Link Corporation. 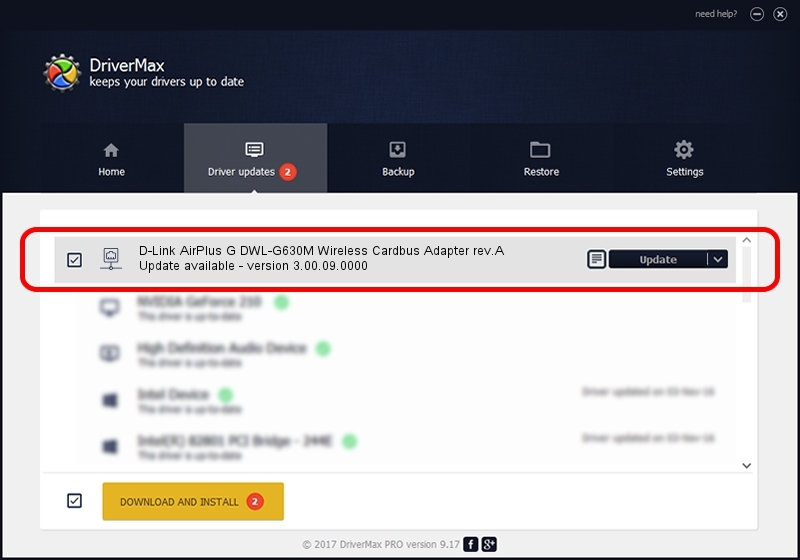 In order to make sure you are downloading the exact right driver the hardware id is PCI/VEN_1814&DEV_0401&SUBSYS_3C121186. 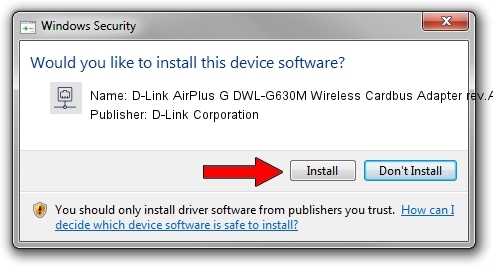 You can download from the link below the driver installer file for the D-Link Corporation D-Link AirPlus G DWL-G630M Wireless Cardbus Adapter rev.A driver. The archive contains version 3.00.09.0000 released on 2010-04-07 of the driver. This driver received an average rating of 3 stars out of 83446 votes. Take a look at the list of available driver updates. Search the list until you locate the D-Link Corporation D-Link AirPlus G DWL-G630M Wireless Cardbus Adapter rev.A driver. Click on Update.